After the President Obama made a surprise visit to Reddit yesterday to host an AMA, I knew the post I planned for this morning was going to get bumped. Whatever you may say about his policies, I don't think anyone can deny that the President is a master marketer. His appearance on Reddit yesterday cemented this–Romney and Obama are not fighting on equal footing in the realm of ones and zeros. The Verge posted a better writeup than I could hope to produce. I'd suggest reading it to get a top line on what went down, and what this means in terms of marketing. I'd rather focus on some of the specific things the President and his team did right in approaching a community like Reddit. One of the most important lessons organizations must learn about social media is the power of culture. Different sites and communities around the web have different norms and etiquette, and you really need to understand the law of the land before you approach a given site. Old Spice has done this really well. Even though social media communities can be hostile to marketing and advertising, Old Spice managed to get near universal accolades from every site from YouTube to Reddit and even 4Chan. They selected the right community. Supporters of Obama and Ron Paul are over-represented among the nerdy crowd on Reddit. There are plenty of conservatives and Romney fans on Reddit, but they don't have the same voice they would have in the general population. Choosing Reddit isn't partisan in the way moveon.org would be, but it's still friendly territory for the President. They used the right venue. Reddit is organized into communities called subreddits that are organized around a topic or style of communicating. The IAMA subreddit is for As Me Anything posts where someone answers questions posed by the crowd. No question is off limits, although you don't have to answer anything you don't feel comfortable with. They didn't announce it too early. Obama's last minute announcement lead credibility to his participation in the community by making sure only existing members of the community had a change to interact with the President. It was a well executed AMA. Obama did everything right, from verifying his identity to picking a good user name. Obama provided updates in the original posts and even referenced the not bad meme in his close. Obama didn't venture too far off scripts, but his replies were clearly not massaged by an aide-typos and all. I enjoyed reading a thread where someone corrected his grammar and then was chided for it. 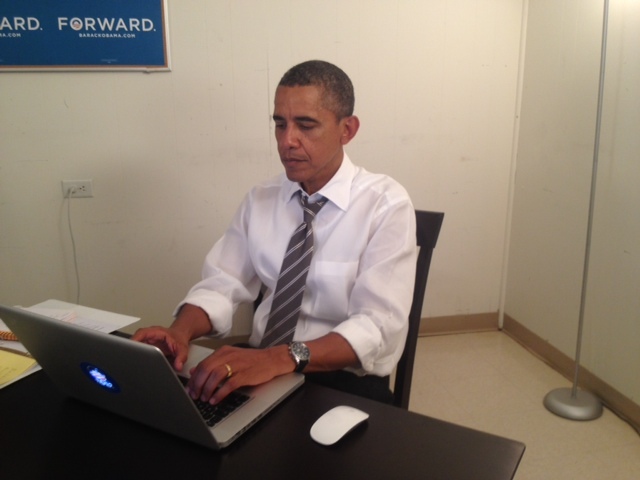 Obama answered questions that resonate with the Reddit community. The top question was about NASA funding–one of the topics with universal support across all of Reddit. Most of us won't be happy until NASA is 90% of the Federal budget. He also answered a question about the White House beer recipe, which is another crowd favorite. To me this was a historic moment. It was a big win for Reddit, and helped Obama as well. More than that it showed how much technology can be used to connect the public with its leaders. I hope to see more of our elected leaders on forums like this–and hopefully not during the election cycle.